The desire to impress the people we love goes to the very core of our most essential self. All living creatures have mating rituals meant to attract their intended paramour. As human beings, we have the ability to move beyond that basic desire to find deep, enduring intimacy. 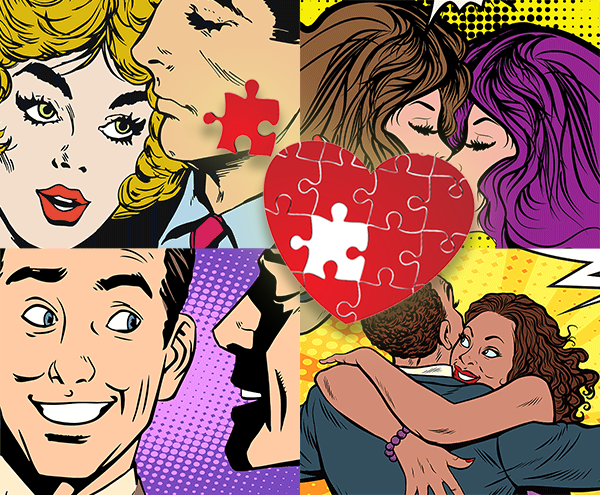 Understanding the nuances of your partner (friend, co-worker, lover…) can help you sustain happy long-term relationships. And knowing more about someone you just started dating can’t hurt either. As a numerologist, I noticed how different preferences and goals affect our relationships, and that there are multiple sides to every number. The 5 Life Path is generally seen as a freedom-loving, dynamic, somewhat irresponsible, sensuous, indulgent, un-disciplined, versatile, adventurous, rebellious and difficult-to-control personality - all of which are true. You can add to that: sexually promiscuous, short-sighted, impulsive, quick-witted, funny, self-promoting, jovial, financially careless, daring, and social. Ask yourself (being a responsible, mature, single individual), would you like to become romantically involved with a 5? Chances are you would consider looking elsewhere since the 5 seems like a loose cannon. But what if I told you the 5, when romantically involved, is actually very loyal, not given to cheating, considerate, devoted, and unwavering in romantic confidence? Not really what you would expect from that seemingly ageless, permanently juvenile 5. Now look at the 6: Sacrificing, loving, caring, responsible, protective, family-oriented, persistent and so forth. Of course you would love to have a 6 as a romantic partner, wouldn't you? Someone who will care for you, protect you, love you? Funny thing though - being in a relationship is not always enough to keep a 6 faithful. In fact, the 2, 6, and 9 are the most likely numbers to cheat. Why? Because they love to love. They just can't help themselves. Different numbers, and their corresponding personalities are drawn to, or turned-off, by another. Ever notice how you instantly feel close to someone you just met and prickly about someone else? Numerology shows us other examples where numbers aren't as simple and narrowly defined as we might have thought. Below is a list of attributes and potential conditions for “the other side” of numbers. The most likely to cheat: 2, 6 and 9. As I said, they open their hearts too easily and tend to be a bit gullible as well. The most likely to die poor: 8 and 5. The 8 tends to take too many risks. Those ruled by the 5 often have a hole in their hand. The most likely to end up rich and successful: 7 (brains, scholarly, sense of timing), 1 (ambition, focus, leadership) and 3 (innovator, original, support of others). The most likely to hold high office or run a major corporation: 9 (global consciousness, sense of justice, detachment), 8 (business shrewdness, authority) 4 (persistent, focused effort, patient), and 22. The most likely to choose a path of crime: 2 (advantage taker, opportunist, liar), 8 (greed) and 5 (rebellious, adventurer, pirate). The most likely to become a successful artist: 6 (visual arts), 3 (books, film), 9 (fashion, architecture), and 2 (music). The most likely to become famous: 5 (self-promoter, adapter), 11 (intuition, sense of timing, knowing what the next fad will be) and 1 (spear point, try anything). But, again, these are generalities and only consider one number. To get a deeper look, many other factors are taken into consideration. And there are always exceptions!